SoundShock is a company which delivers high-quality sample packs production kits and virtual synth presets. They also offer audio production tutorials and artist interviews. All content, according to founder Daniel Strongin, is totally free. 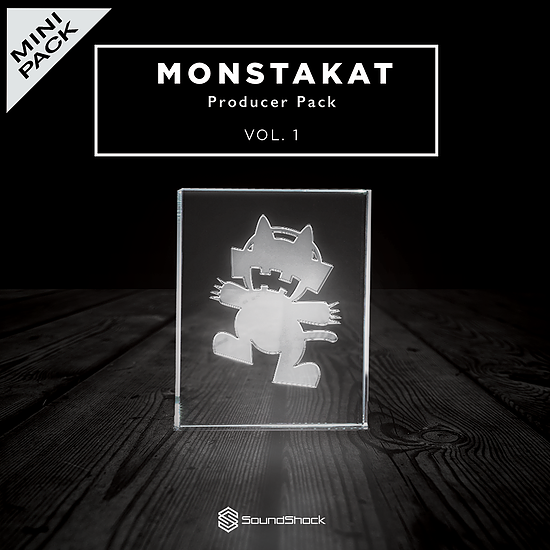 Monstakat Producer Pack Vol.1 is a 100% royalty-free sample pack, which can be downloaded for free through SoundShock website. It has 300 MB of one-shots (drums), synths, FX, bass, drum loops and also Serum presets. The pack covers EDM styles such as progressive house, tropical house, house electro, trap, future bass, dubstep, but it can be used by producers of all genres of electronic music as well. All samples are well organized into folders. Synths and Bass have both one-shots and loops. FX folder contains risers, impacts, downlifters, drum builds and atmospheres. Drum one-shots have lots of kicks, snares, hats, cymbals, percussion, claps and foleys. The Serum presets folder contains 30 presets, such as basses, pads, keys, chords and leads. In SoundShock website you can download more Serum presets, which covers bass house, chill, dubstep, future bass, trap and house genres. It’s also possible to download up to 500 Serum wavetables.